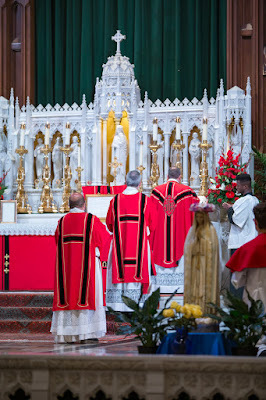 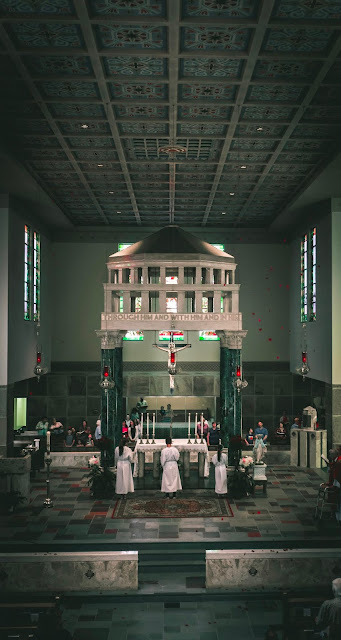 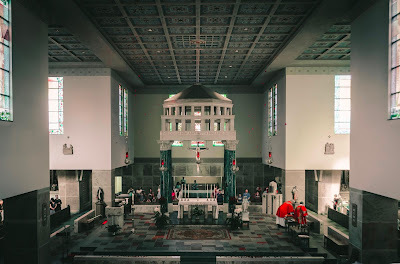 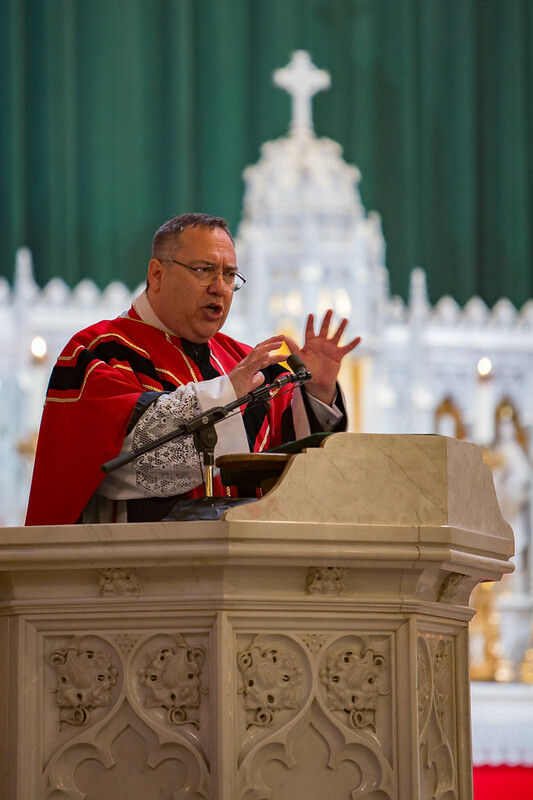 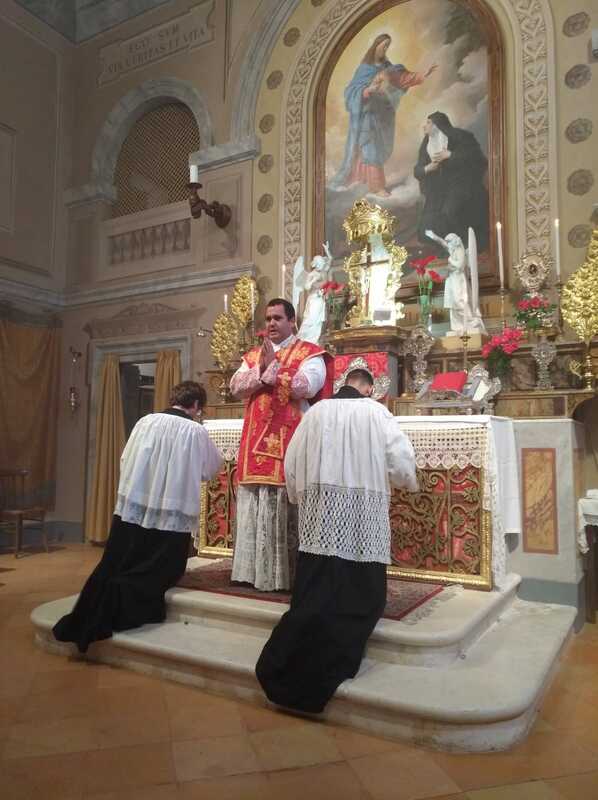 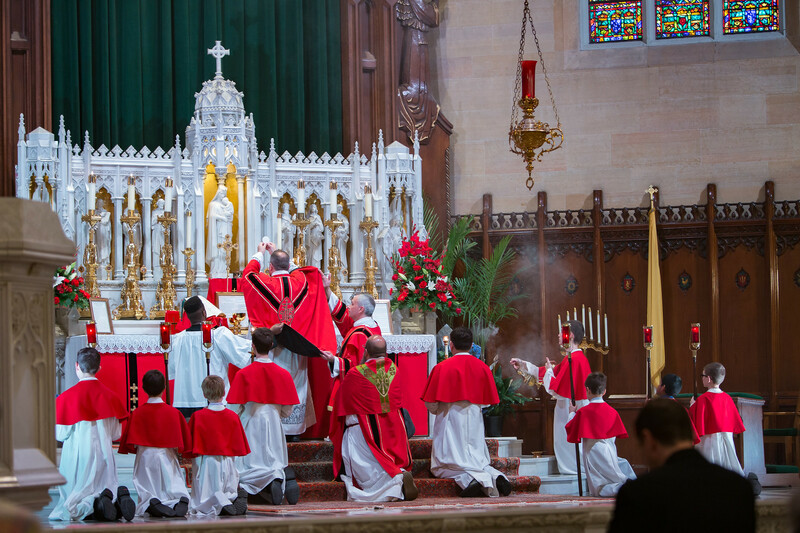 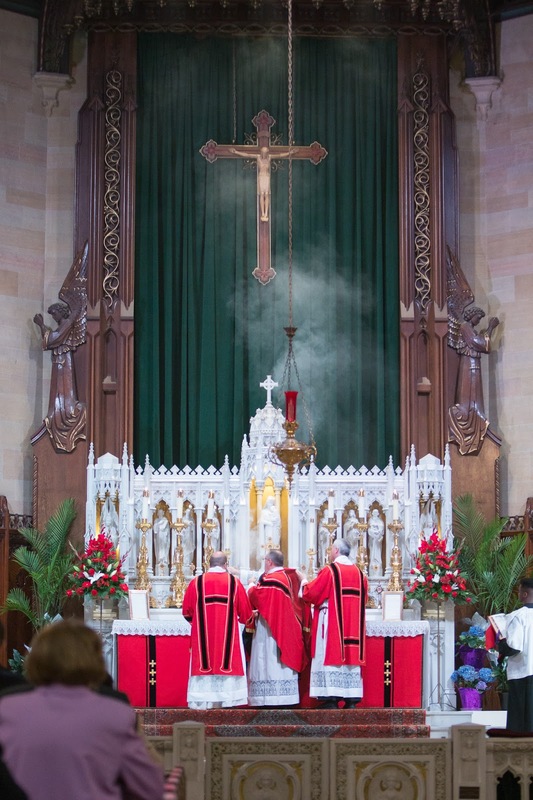 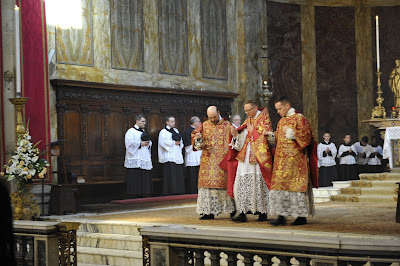 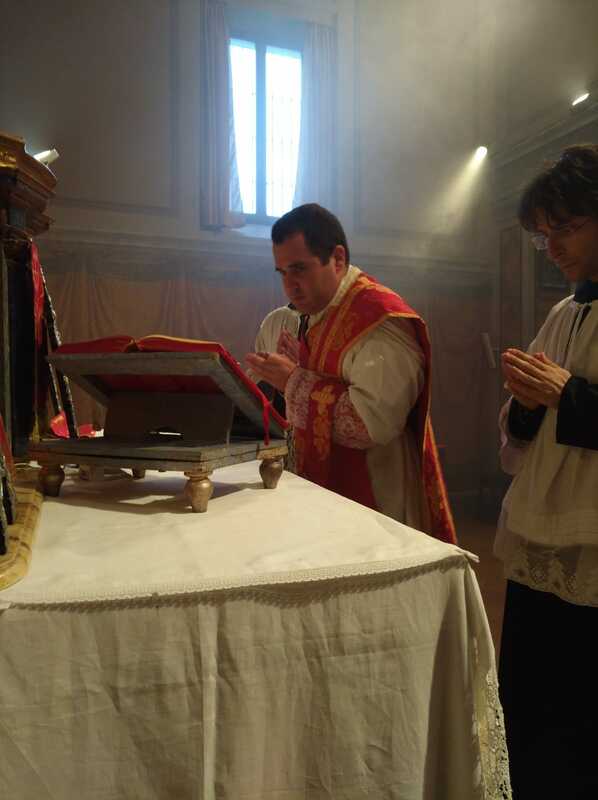 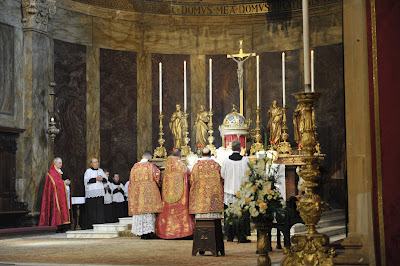 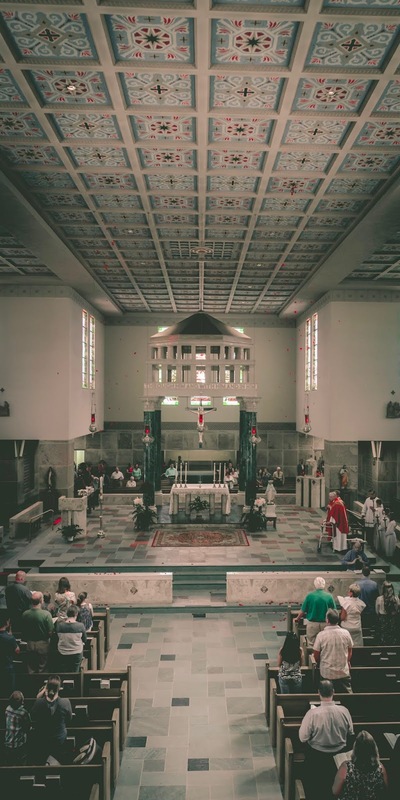 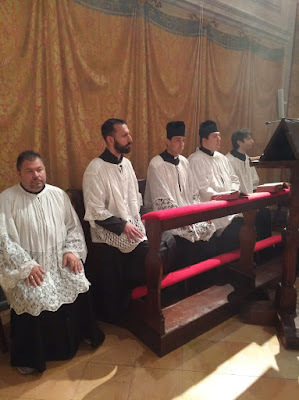 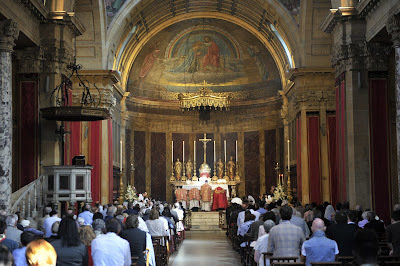 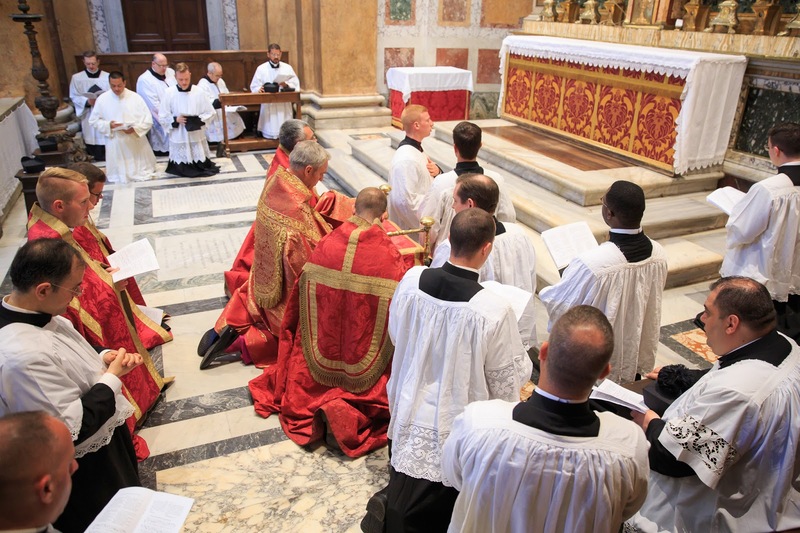 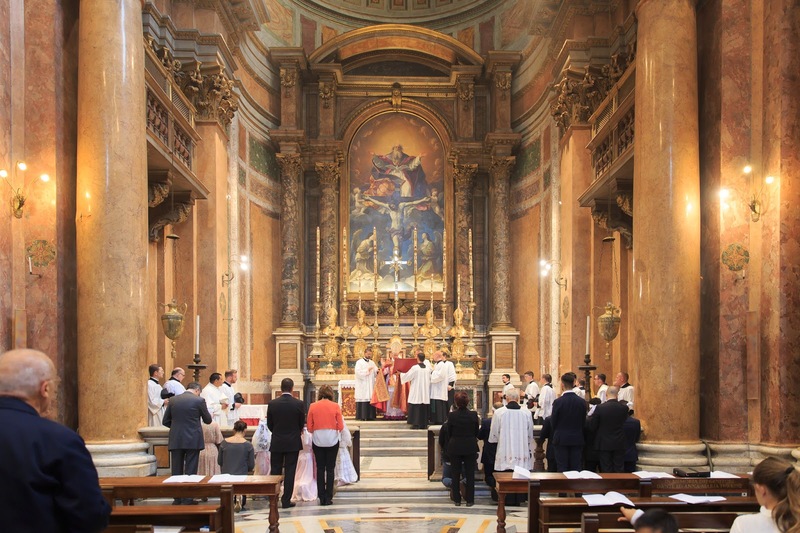 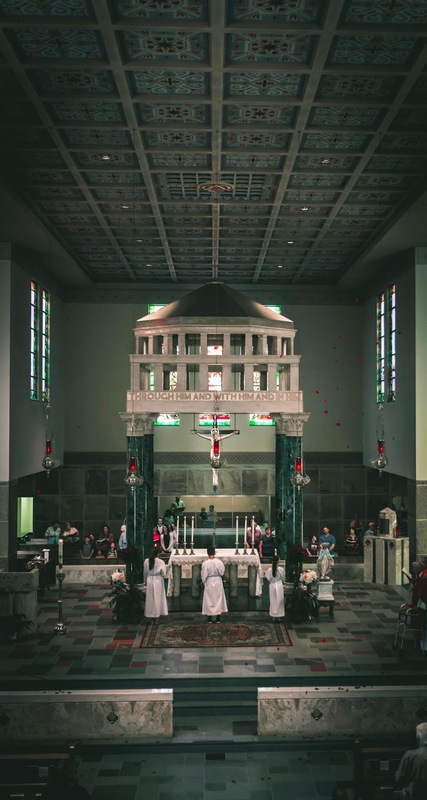 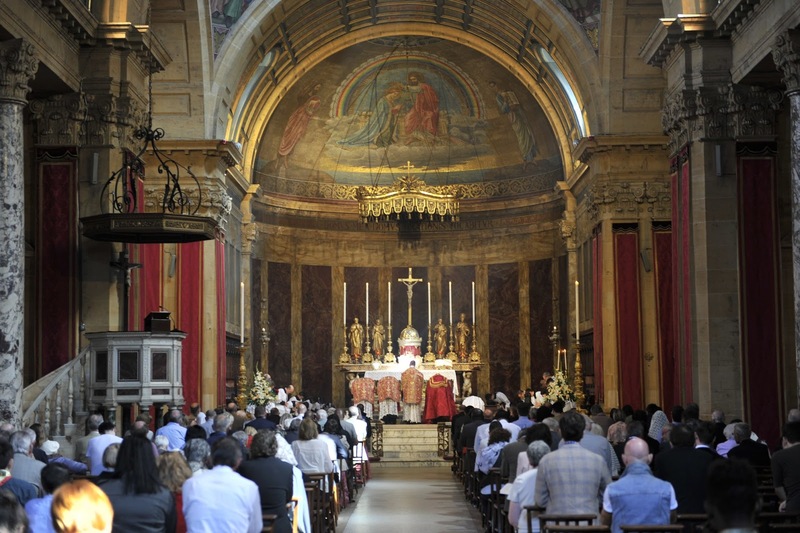 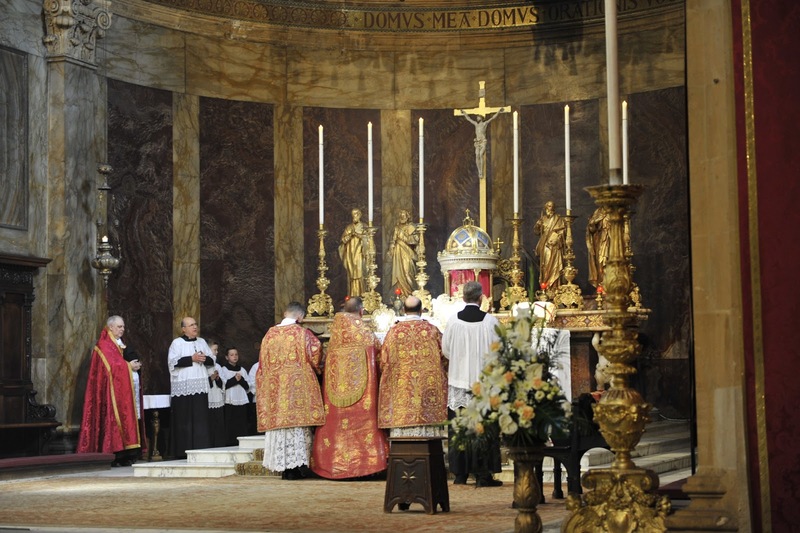 Continuing with our Pentecost photopost series, once again we have a beautiful set of pictures (and one video) that show not only the beauty, but also the great variety and richness of our Catholic liturgical tradition: the vigil Mass, Vespers, Confirmation, a priest’s first Mass, and a shower of rose petals (photographed with a very cleverly chosen filter). 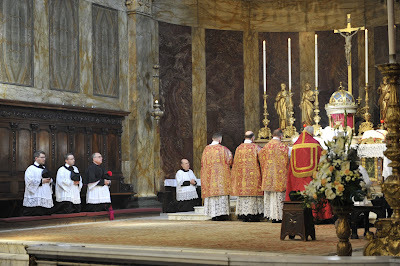 Part three will be posted tomorrow, along with a request for photos of your upcoming Corpus Christi celebrations. Evangelize through beauty! 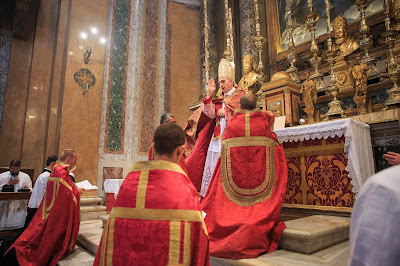 The Second Prophecy (Exodus 14, 24 - 15, 1), followed by the tract (15, 1-2), and prayer. 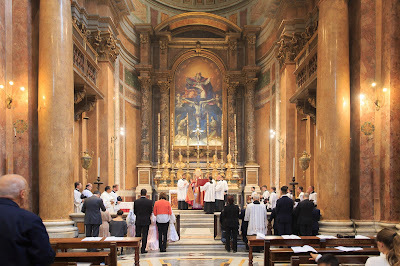 The Mass was sung by Floriani, a choir made of students from Thomas Aquinas College in California, one of the best choirs I have ever heard. 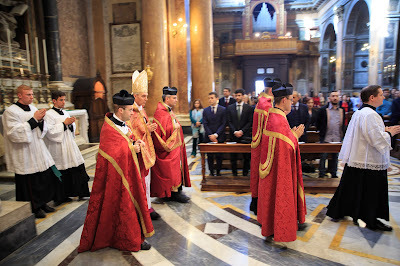 Pontifical Vespers, celebrated by His Excellency Archbishop Georg Gänswein, and followed by the Confirmation of eight parishioners. First Mass of Fr Dominic Edwards, C.O., who was ordained the previous day. Photos by filter-meister Luke Vautour. 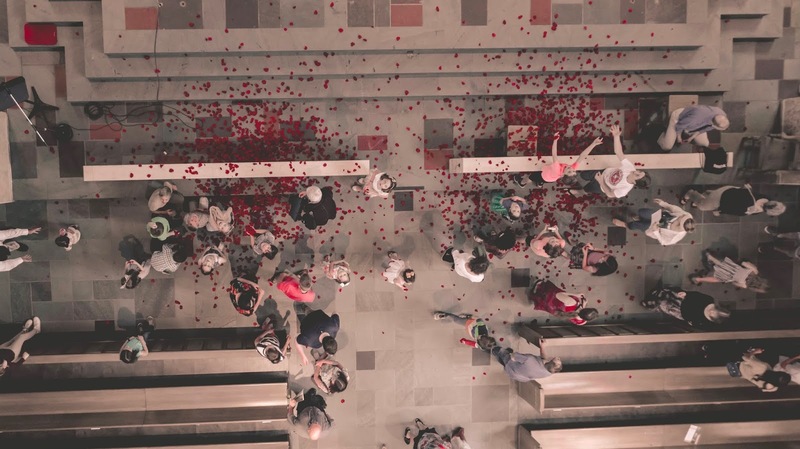 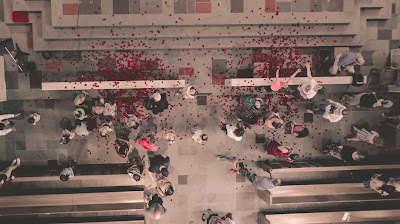 This shot was taken from the vantage point of the persons dropping the rose petals from the church’s ceiling, which was done by temporarily removing some of the lights.